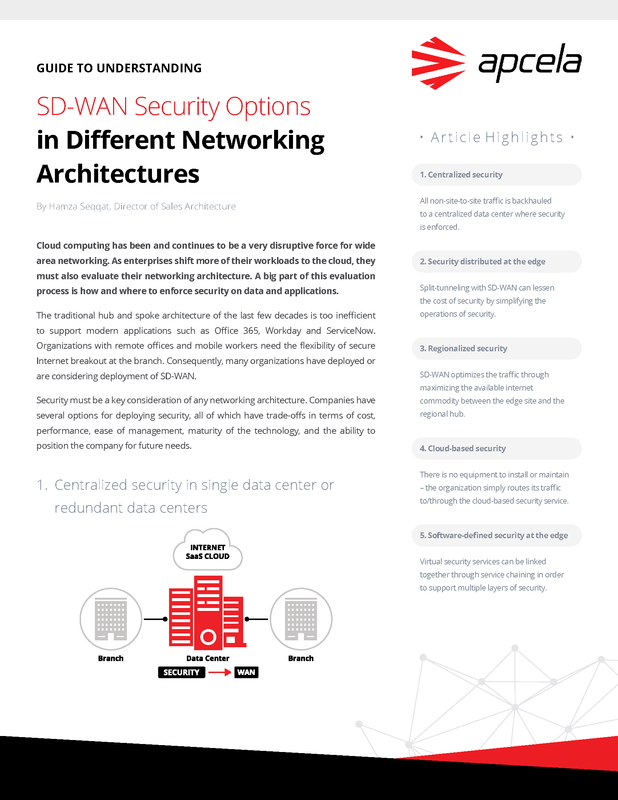 SD-WAN can improve an organization's environment, and opens the door for multiple security options. Find out which architecture works best for your security and network needs, as well as for your budget. Download this free resource from Apcela today!